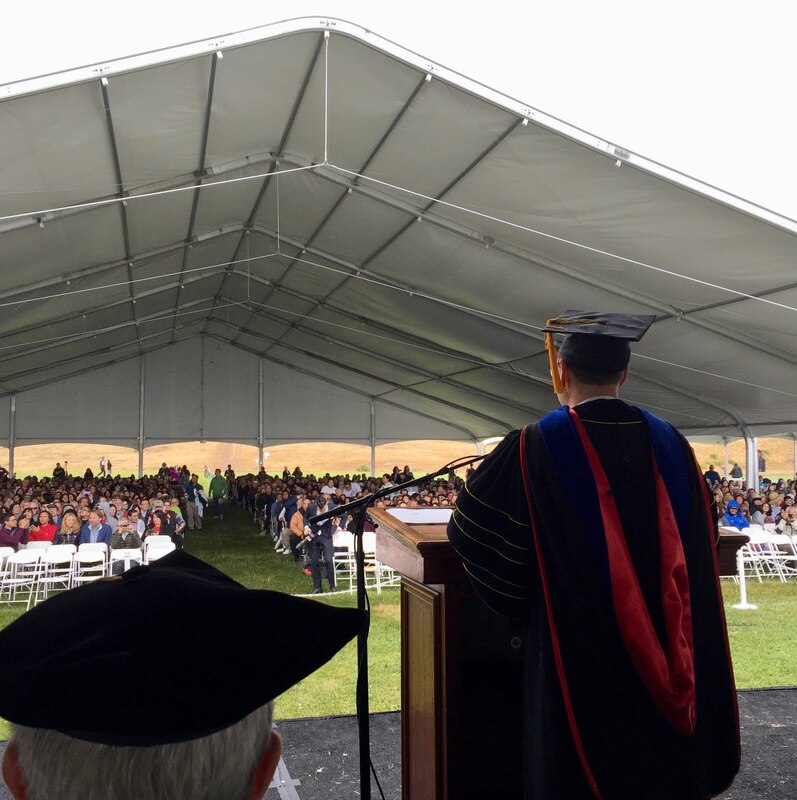 As I revealed in my blog post yesterday, I attended a couple of graduation ceremonies at UCSC over this past weekend. Pictured is Crown College Provost Manel Camps, welcoming graduating students, families, and friends to the commencement program recognizing graduating students at Crown College. David Brin, astrophysicist and science fiction writer, gave the keynote address. Anyone who reads this blog regularly will remember that I advertised Brin's then-upcoming appearance. Among other things, Brin urged graduating students to learn a little bit about "game theory," and specifically to become acquainted with the idea that it is possible to achieve "positive sum" results in our social, political, and economic efforts. "Zero sum," in other words, is not the only way to play the game. It's definitely not the best way to play it, in politics, unless you're shooting for oligarchy! Because Brin has done a great deal of thinking about "privacy" in our contemporary, highly-technological world, I was anxious to hear him speak. I do, after all, teach a course at UCSC entitled, "Privacy, Technology, And Freedom." Brin didn't disappoint. I encourage you to click this link to read a fairly short article that provides some important ideas on how we might be able to structure our ever more "transparent" society to wind up with a positive sum result. Brin argues that attempts to obtain or retain personal privacy by denying the government and others access to our personal information is likely to fail as a strategy, urging us to be creative in making sure that we, as individuals and citizens, have transparent access to the very governmental and corporate information that is now used, or is available to be used, against us. "Postive sums" are possible, he claims! It's worth thinking through every option, because the current situation is definitely reflective of a "zero sum" approach, and individuals and a free politics are losing out!